When you’re short on money, decorating your home can seem like a nearly impossible task. You think of all of the improvements you’d like to see made, but when you look at your wallet your heart sinks. There are some decorating projects that cost home owners hundreds, or even thousands of dollars, but you don’t have to go into debt creating a new look for your house. If you really want to make a dramatic change in your home, pick one thing in each room to redecorate. If you do that you’ll be able to save a lot of money and make a big enough difference to change the look of your home. Try out some of these tips on your favorite rooms. Do: De-clutter your cabinets and countertops, and find some of your favorite dishes and objects to display. If you do this you’ll create a lot more open space in your kitchen and make it easier to cook. You’ll also have the added benefit of displaying your favorite dishes and bowls. 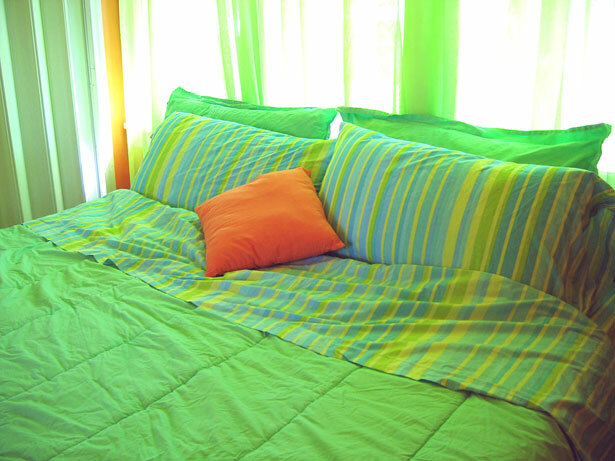 Do: Replace inexpensive objects like shower curtains and bathmats for a more vibrant color or pattern. Even the most stylish shower curtain and bathroom towels can’t cost a lot of money, and changing those simple objects can easily give your bathroom the new look you’ve been wanting. Do: Choose an eye-catching décor piece to display in your living room. Designer rugs can change the whole look of your living room, and so can new throw pills for furniture and a new painting to hang on the walls. Do: Find new bedding for your bed. New comforters and sheets can give your room the new look you’ve been searching for, and you won’t have to spend a lot of money.